Immediately, we see Spidey in his new threads. And it looks totally wicked. Whilst the first film offered a fantastic, new-age take on the suit design – call me old-school – I’m a fan of the makeover. I think it stays true to the traditional design I grew up with as a kid. It feels more like Spider-Man. But speaking of traditional, there’s a key element of Spidey that seems to break away. And his name is Rhino. Spider-Man fanatics know him as an organic, gene-spliced meta-human. His origins begin as a thug who volunteered to participate in an experiment that bonded a super strong polymer to his skin, thus enhancing his strength and speed. 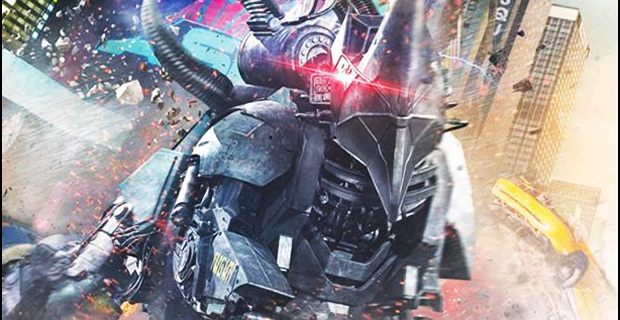 Instead, we see a giant, mechanical suit with a rhino-based horn front-and-center on the helmet of the beast. Considering that the first Spider-Man film established that Oscorp has been experimenting with genetic overlap [note the Lizard], they could have easily gone the direction of creating the organic Rhino we all know. Although the traditionalist inside me screams, “No! You got it all WRONG,” I won’t condemn the movie to failure just yet. Although a modern-age remake of Rhino might have some fans a bit bamboozled, I think it could be an excellent take on him. We have to remember that the comic books offer multiple, unique universes to Spider-Man. This Spider-Man reboot simply offers a look into another. Speaking of genetic alterations, at 1:24 of the trailer, we see a tank of electric eels. 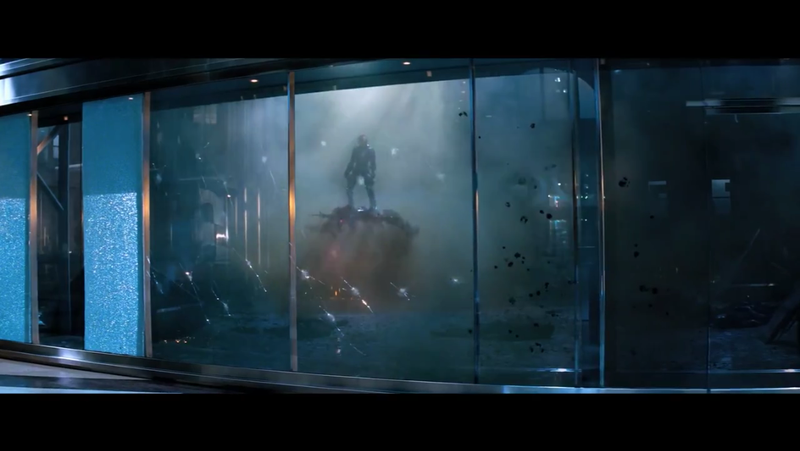 The follow up scene is Jaime Fox as Electro emerging from a separate tank. Looks like genetic engineering to me (which makes me wonder why they didn’t go in the same direction for Rhino; it would only make sense in terms of consistency). 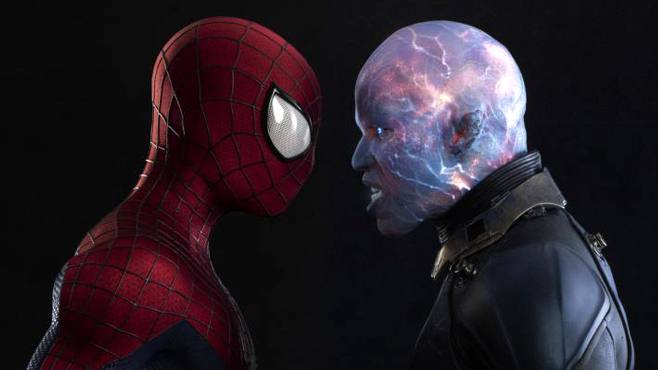 Electro looks like Oscorps’ biggest and best mistake thus far. He is tremendously powerful. At 2:02, he causes a mass explosion – one even Michael Bay would be proud of – that sends officers and cop cars flying in every direction. At 1:29, Electro takes on the form of electricity. If you look carefully, in the final cut scene to the trailer, you see him projecting his body with this ability, essentially transporting and effortlessly keeping up with Spidey. But how does he become so trained in this ability? The trailer doesn’t seem to show. Hopefully the movie will take time to elaborate on this. Immediate understanding of one’s newly-found powers isn’t very believable. Anyone else think it was weird how quickly the Man of Steel was able to master the ability of flight? Yeah, so did we. 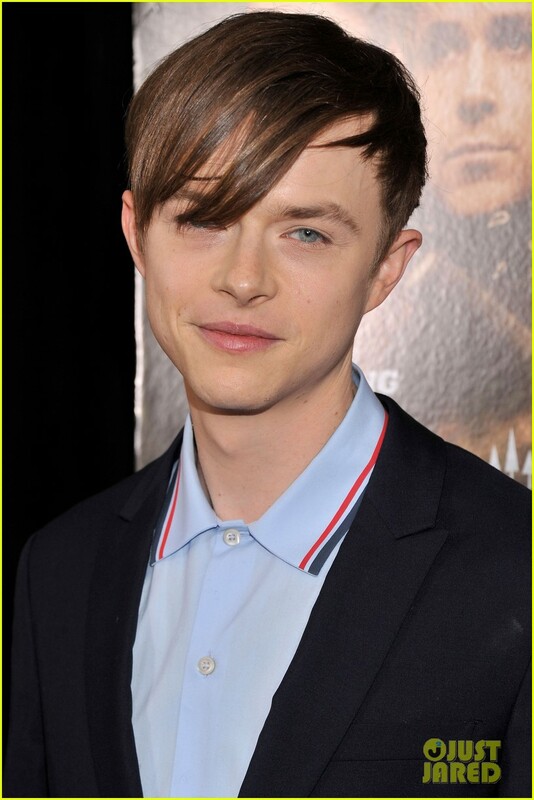 I n other news, Harry Osborn, is introduced by Dane DeHaan. According to the comics, Harry is a long-time friend of Peter Parker. He may not be as studly as James Franco – Harry Osborn in the original Spider-Man trilogy – but he sure was awesome in “Chronicle.” I’m predicting “super villain, take two!” For those who know the comics, you know what I’m talking about. It looks like the franchise is reintroducing the Green Goblin. Don’t believe me? The 19-20 second mark showcases Norman Osborn of Oscorp – played by Chris Cooper of “The Bourne Identity” – giving us the evil stank-eye. Also, I’m fairly confident he doesn’t wear that gear and suit on a regular basis. Still not buying it? Note the 1:30 mark. Here we see a character in the same suit casually cruising on a glider. Seems pretty Green Goblinish to me. Another scene at 1:51 showcases Spiderman kicking the same character off of his glider. We all know that Peter Parker worked at The Daily Bugle as a photographer to make a few extra bucks for his projects and to help his Aunt May. Well, while swinging in action at the 40 second mark, we see a sign in the background that reads “FOLLOW THE DAILY BUGLE ON TUMBLR.” Turns out that you really can! Thedailybugle.tumblr.com posts fictional news articles regarding Spidey sightings, Oscorp shenanigans, and other fun Easter eggs. It’s definitely something Spidey-fans should check out. At the 13 second mark, Peter says, “The more people I try to save, the more enemies I will make.” He sure got that right. The second Easter egg foreshadows The Sinister Six, an alliance of six supervillains – Doctor Octopus, Electro, Mysterio, the Vulture, Kraven the Hunter, and Sandman – who team up against Spidey. 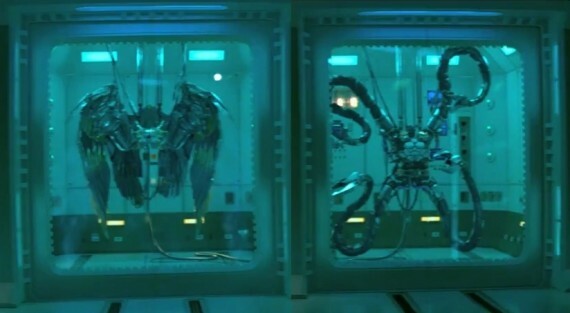 At mark 1:14, a clear shot of Vulture’s wings and Doctor Octopus’ arms are displayed. 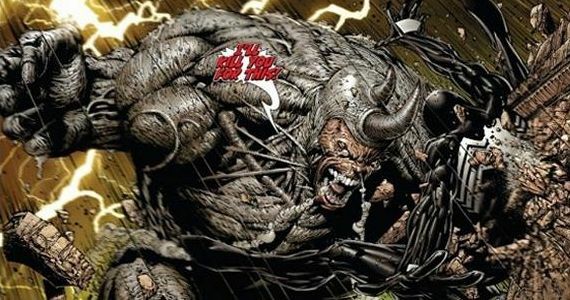 Sony announced early December that they plan to develop spin-off movies focusing their attention on The Sinister Six and – yes, ladies and gentlemen – Venom. Ultimately, they plan to tie in these films for one heck of a movie. Be excited. Be very excited. At 1:38, we feast our eyes upon an explosion of an all-you-can-eat-CGI-and-amplified-saturation buffet. This has recently drawn out a lot of negative criticism. There is an expectation and popular demand for realism in films, and it looks like The Amazing Spider-Man isn’t delivering. The demand is for one side of the spectrum – either cartoon or realism. But we have to remember that these films are based off comic books. These films aren’t styled after Christopher Nolan’s The Dark Knight, in which Batman is placed in a very realistic world. Instead, Director Marc Webb allows for a medium of the two. I believe Webb is purposely trying to create a comic book feel to this world of Spider-Man. This world could be described as the crossover between our world and the world between the panels. That said, the film should be watched as an art – like a motion-picture comic book. These films offer a fresh take on the Spider-Man movies and make us feel like, “Yeah, that’s exactly what Spider-Man would do in the comic books.” If under constant comparison to the original Spider-Man trilogy in which director Sam Raimi successfully imagined what Spider-Man would be like in real-world New York, The Amazing Spider-Man fails. If we’re right, the following could contain a few spoilers. But keep in mind that it’s all speculation at this point, and there is no actual evidence to back any of it up. It’s simply our thoughts written out. 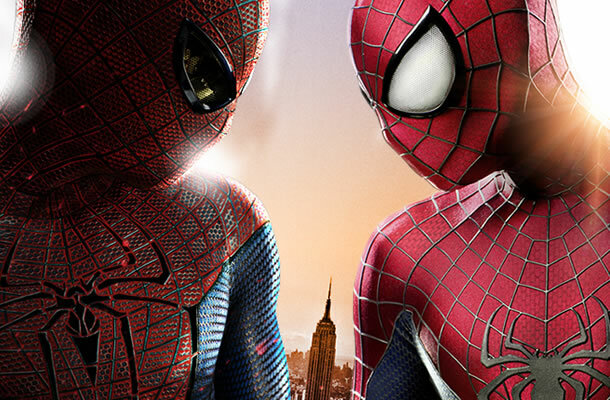 Here are some elements we think “The Amazing Spider-Man 2” will focus on. ELEMENT 1: Best friend Harry Osborn feels the need to show Peter Parker that Oscorp is keeping tabs on him. Probably due to the fact that Peter’s father, Richard parker, was a scientist that worked for Oscorp. Maybe, just maybe, Mr. Osborn knows about his web-slinging secret. ELEMENT 2: Aunt May knows something, perhaps about Peter’s parents, and she’s not spilling. Upon imploring his aunt for the truth, Aunt May responds: “I once told you: secrets have a cost. And so does death.” DEATH? Things just got real. The background in the same scene reveals a lot of connections and research about his missing father and mother (we know this because the marked documents Peter found are pinned behind him), which might have lead him to the next cut scene and ELEMENT 3. It all points to Richard Parker being closely tied to all of the events arising from within Oscorp. If anything, he played a very critical role when he was alive. However, it was only until late that he was able to realize the evil behind Oscorp’s projects. ELEMENT 4: At 1:26 of the trailer, Harry Osborn says, “We literally can change the world.” Looks like the classic good-intentions-gone-evil scenario. We already see this evolution at mark 1:31 when he has a conversation with father Osborn. To this, he replies, “Not everyone has a happy ending.” Allow me to paraphrase his statement: “Screw Peter, kill him!” I mean look at the guy. He looks totally evil. Maybe there’s a connection between this and mark 1:57, where we see Harry shrieking in a cold sweat. As we know from comic books and Spider-Man 3, he may very well be injecting himself with same juice his pops did when he became the psychotic Green Goblin. ELEMENT 5: Okay, this isn’t really an element, but I thought it should still be mentioned. What is up with the overused plane crash scene in films recently? 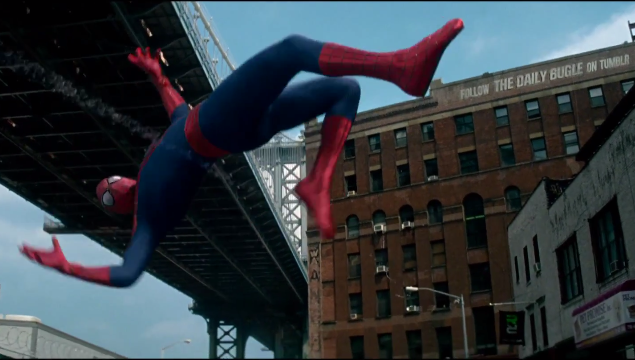 First Iron Man 3, then World War Z, now The Amazing Spider-Man [mark 1:52 of the trailer]. Awesome? Yes. But it’s becoming a cliché. Alright, I’m done. ELEMENT 6: Oh snap, did you see that? At 1:55, some officers are storming through a prison cell. Prison break? Maybe by Aleksei Sytsevich, aka Rhino? Maybe. Okay, I’m really done this time. While I’m excited for the introduction of villains I really believe deserve to be showcased on film, it looks like Spidey is going to have a lot on his platter – Electro, Rhino, Green Goblin, Oscorp, the Osborns, Gwen, The Sinister Six, etc. My only real concern is that it could end up like Spider-Man 3, where too much was rushed and packed into one sloppy movie. Villains are awesome, as long as it doesn’t substitute for a story. 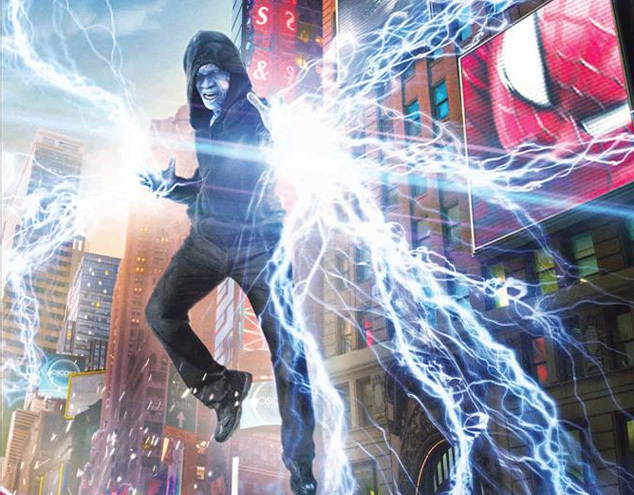 In an interview with Director Webb at a Comic-Con panel in San Diego, he addressed this concern with, “It has just the right amount of stuff in it, obviously … I don’t think there’s much to worry about.” He went on to say that Electro will be the focus of the story and will help the storyline progress. Not much was said after that. Either he seriously didn’t know how to address the concern or he hoped not to spoil the film. Let’s hope it’s the latter. Hopefully, the trailer doesn’t spoil the movie as much as we think it does. There’s a lot to look forward to. However, if this film isn’t executed just right, all the buzz and excitement could be in vain. Either way, see you opening night! What do you think? Make sure to drop a comment and let us know! Good observations. Have you seen the German trailer yet? There are a few more scenes in it – nothing too radical though.